Dimensions 16 inches H. x 7 inches W.
Damage/Repair Worn handle; rusted metal, loose in handle. 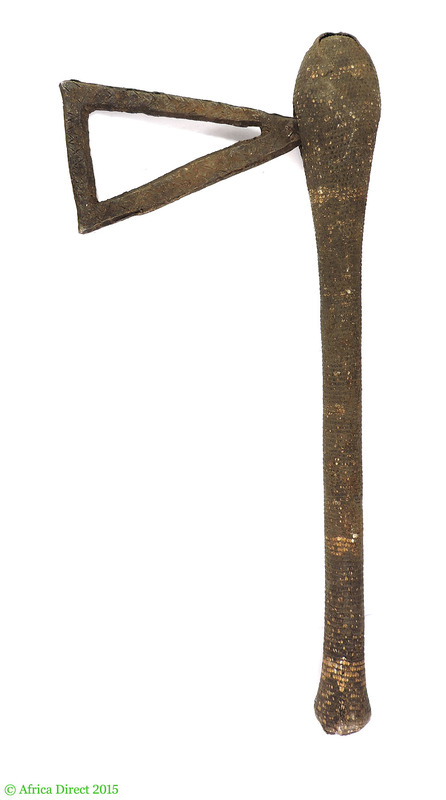 Additional Information: This is a Kuba ceremonial axe. The handle has been covered with stretshed snake skin hide. The copper alloy blade are decorated with typical Kuba repeated intertwined motifs, the blade has not been sharpened. 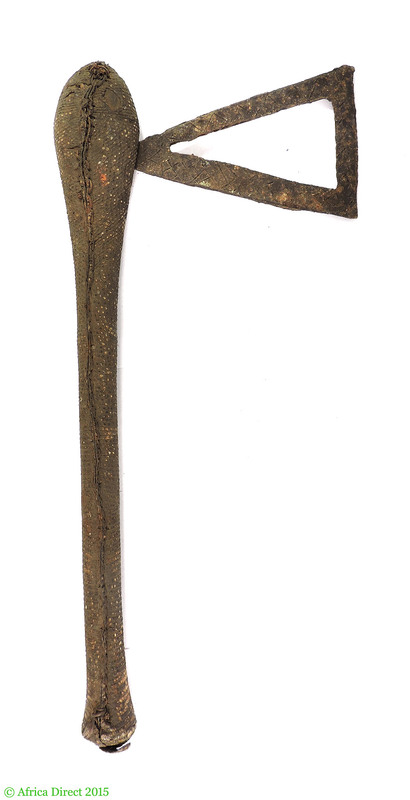 Axes with worked blades and sculpted handles were ritually carried by kings and dignitaries during ceremonies and often indicated the owner’s prestige and rank when carried in a procession.